SCHEDEL - Sexta Etas Mudi. CCLIIII Simon Beatus ..
SCHEDEL, H. - Sexta Etas Mudi. CCLIIII Simon Beatus ..
Sexta Etas Mudi. CCLIIII Simon Beatus .. - SCHEDEL, H.
Size : 13.4 x 8.7 inches. / 34.0 x 22.2 cm. Description :A very fine presentation of the circumcision of Simon (Dim. H : 192 mm W : 223 mm). Recto, a falling star, a portrait of a King and an officer wearing an armor. 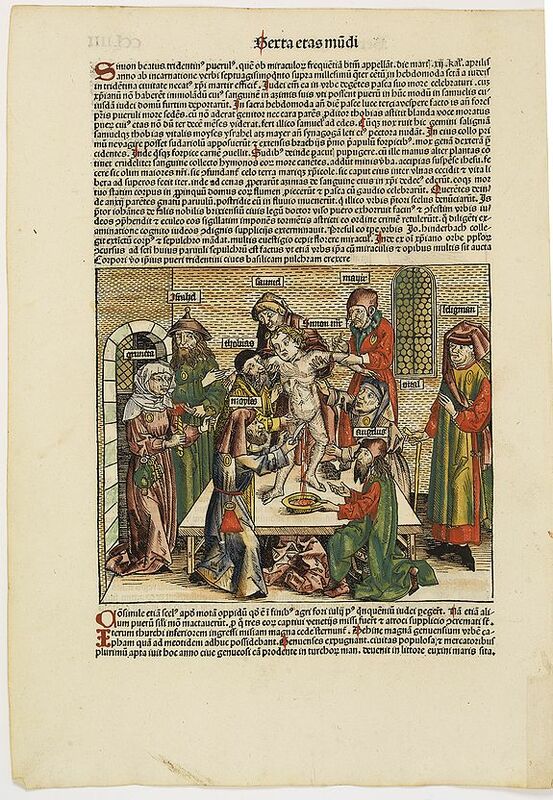 Page from the richest illustrated Incunabel, the famous Nuremberg Chronicle, published the year that Columbus returned to Europe after discovering America.